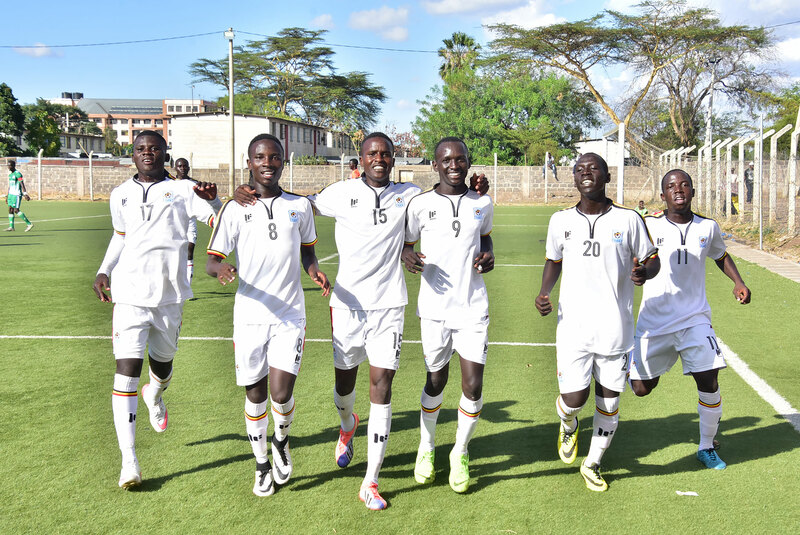 NAIROBI – The Uganda U17 National football team, the Cubs have finally departed for Tanzania ahead of the 2019 U17 AFCON finals. They have been in Kenya for 10 days where they had been training in order at acclimatize to high temperatures which are equivalent to those in Dar es Salaam. While in Kenya, they played two build up games against the Kenya U18 (0-0) and Gor Mahia FC U20 (4-4). A contingent of 31 personnel which comprised of 21 players and 10 officials left Nairobi for Dar es Salaam aboard Kenya Airways on Wednesday morning. Before departure, the team head coach Kwesi Fabin praised his assistant Jackson Magera and also sighted his team’s improvement. “I think they are doing well and fortunately, we have an able assistant who did a good job, said Kwesi. “Therefore, we are just adding onto what has been done already and so far it’s been good. 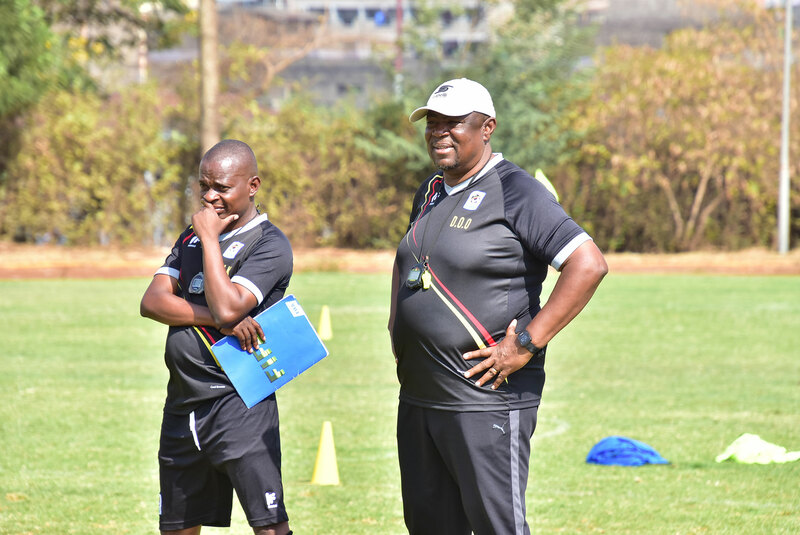 “It is common knowledge that when you gather children at the U17 level and move them out of their country to another (country), it gives them enough energy to work hard due to that excitement and since we came in Kenya the boys have performed very well and improved day by day. The Cubs are expected to carry out a mandatory Magnetic Resonance Imaging (MRI) test on Thursday 11th April before their first fixture against Angola on Sunday. The Cubs will carry out MRI tests on Thursday. Uganda is in group A along with the hosts Tanzania, Nigeria and Angola. The top two teams in each of the two groups will qualify automatically for the U17 FIFA World Cup that will be held in Brazil. -Angola vs Uganda (Sunday, 14-04-2019). -Uganda vs Tanzania (Wednesday, 17-04-2019). -Nigeria vs Uganda (Saturday, 20-04-2019). Goalkeepers: Oyo Delton (Kirinya Jinja SS FC), Jack Komakech (Ndejje University FC), and Mubiru Patrick (Bright Stars FC). Out Field Players: Kevin Ssekimbegga (Express FC), Ibrahim Juma (KCCA FC), Kasozi Samson (Bright Stars FC), Kizito Mugweri Gavin (Vipers SC), Opira Innocent (Ndejje University), Ssekajja Davis (Bright Stars FC), Kakaire Thomas (Bright Stars FC), Iddi Abdul Wahid (Cagliari FC – Italy), Mwaka Polycarp (Ndejje University FC), Opaala Edrine Mukisa (Kirinya Jinja SS FC), John Kokas Alou (URA FC), Jarieko James (Paidha Black Angels FC), Asaba Ivan (Vipers SC), Najib Yiga (Vipers SC), Mugulusi Isma (Kirinya Jinja SS FC), Mugisha Rogers (Mbarara City FC), Opiro Justine(KCCA SA), Kawooya Andrew (Vipers SC).